Callaway SuperHot are a premium 3 piece ball that give you the distance you always wanted. Hex Aerodynamics create low drag which allows the ball to have more flight and less side spin, for longer and straighter golf shots. 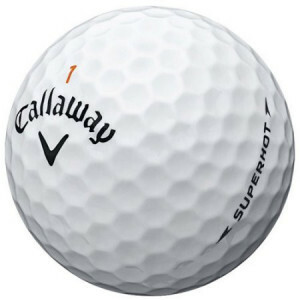 Callaway SuperHot feature a High Velocity Core, this combined with the trionomer cover creates the incredibly speed that keeps the ball in the air for longer. Callaway SuperHot feature a soft mantle which creates less side spin which helps to reduce hooks and slices. A premium 3 piece golf ball designed for golfers looking for more ball flight, longer distance and straighter shots, allowing you to aim at the pin with confidence.